The International Trade Centre’s (ITC) Women and Trade Programme seeks to increase the participation of women entrepreneurs and producers in global value chains and to ensure that they enjoy greater economic benefits from participation in international trade. Women own close to 10 million of the world’s small and medium-sized enterprises (SMEs). SMEs account for almost 80% of jobs around the world, therefore increasing their competitiveness boosts the likelihood of job creation. The Women and Trade Programme works with buyers and governments to increase the procurement of goods and services from women entrepreneurs. The programme builds the capacity of trade support institutions to improve their product and service offerings to women entrepreneurs, and it enhances the competitiveness of women entrepreneurs in developing countries, enabling them to tap market opportunities. So far more than 100 trade support institutions have worked with ITC under the Women and Trade Programme. Currently, strong emphasis is being placed on strengthening collaboration between buyers and women entrepreneurs. The goal is to establish long-term partnerships that underscore equal standing between buyers and suppliers. This is not only an investment in inclusive growth; it is a just and business-savvy investment. Investing in women entrepreneurs supports inclusive and sustainable economic growth. Work with colleagues at ITC to implement ITC's Gender Mainstreaming Policy to ensure the full range of ITC's services benefit women as well as men. The Programme is funded by United Kingdom Aid through the Department for International Development (DFID), the Australian Government, Department of Foreign Affairs and Trade as well as with funds provided by the government of Norway and others through ITC's Global Trust Fund. 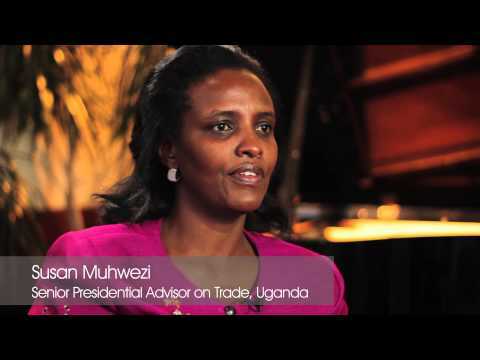 The Women and Trade Programme was established in 2010 and Phase I ran from 2010 - 2013. Phase II of the Programme will run from 2014 - 2016.